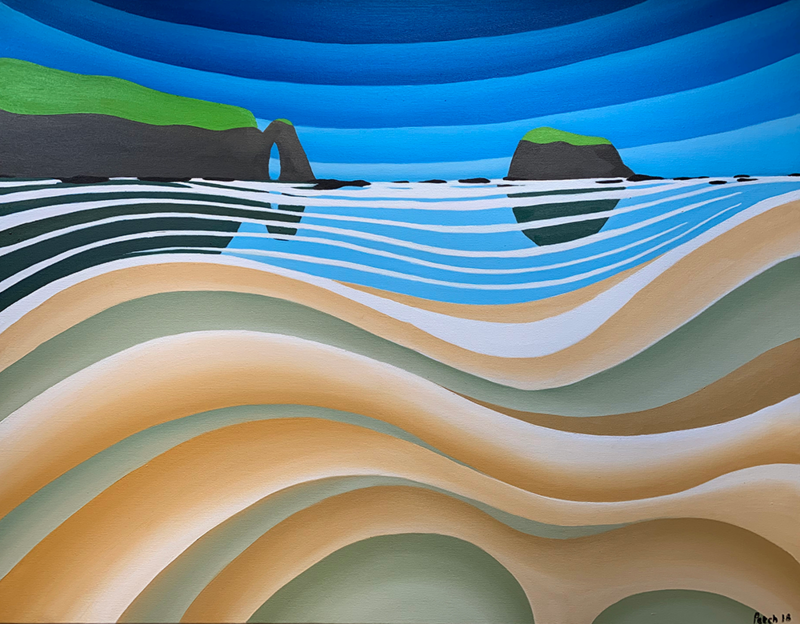 Perranporth Beach Tidal Changes is in a series of paintings celebrating the beautiful 3 mile stretch of Perranporth Beach and the spectacular Arch Rock with its foreground of tidal sand patterns. This painting focusses on a new view of the changing patterns left in the sand by the tidal patterns. They have always caught my eye at Perranporth as they form a natural artistic foreground to an awe-inspiring backdrop.